From Stanley Cup champs to gold medal Olympians, these five netminders give their respective teams net gains every time they’re between the pipes. 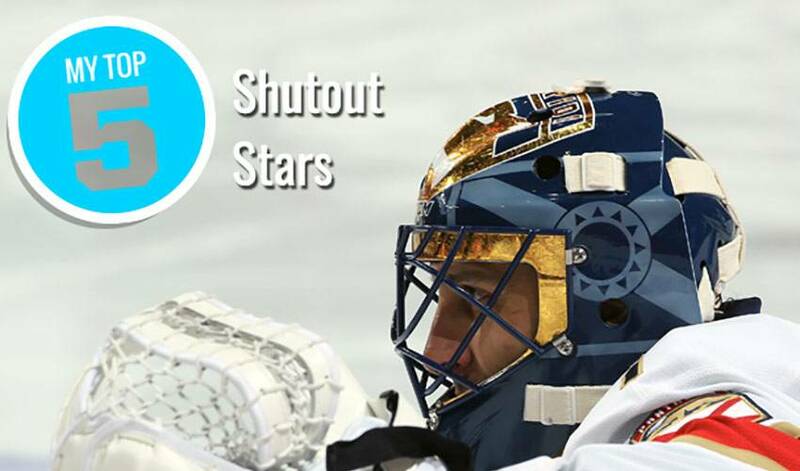 Who are the top active shutout leaders? Who has the puck-stopping skills that are a cut above the rest? From Stanley Cup champs to gold medal Olympians, these netminders give their respective teams net gains every time they’re between the pipes. Who tops the list? Hint: he’s 34 games away from 1,000 for his career. The 38-year-old backstopper has played 966 career NHL games, winning 453. Showcasing a 2.50 goals against average, Luongo also fashions a .919 career save percentage to go along with his 73 shutouts. King Henrik counts an Olympic crown (2006), a Vezina Trophy (2012) and World Championship gold (2017) among his hardware haul. The Swedish star, who has 405 lifetime wins, had two blankings in 2016-17, to give him 61 total. A three-time Stanley Cup champion, the 32-year-old Quebec native will tend the twine for the Vegas Golden Knights in 2017-18. Fleury brings 375 career wins, a .912 save percentage, and 691 games played. The 31-year-old Connecticut native and two-time Stanley Cup champion has 260 career victories. Selected as the 2012 recipient of the Conn Smythe Memorial Trophy, Quick is eight games shy of 500 for his career. A winner of 269 regular season NHL games, Rinne has 11 shutouts over the past three campaigns, including three in 2016-17. The native of Finland has a lifetime 2.38 goals against average and .917 save percentage.